Jessica Turner, NMD, joined Live Well at Warner Family Practice in 2018. Her approach to care is lifestyle changes that patients can make now to benefit their health so they can live longer, happier, healthier lives. 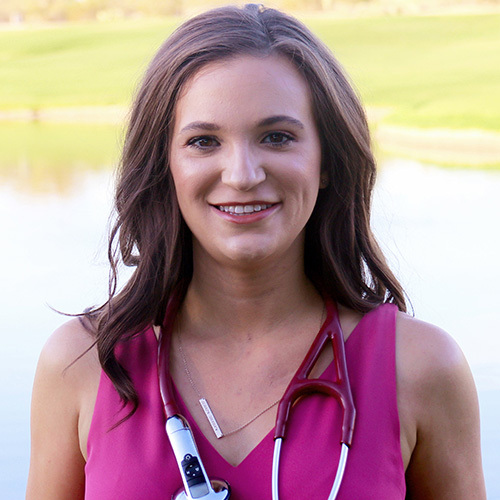 Dr. Jessica Turner was born in Indianapolis, Indiana, but grew up in Scottsdale, Arizona. She started dancing when she was 3-years-old and being an avid dancer, continued throughout college. She competed in several different styles of dance, including ballet, hip hop, and contemporary. Her love for medicine was discovered during her junior year of high school after taking her first Anatomy and Physiology class. Like most physicians, Dr. Jessica Turner chose to become a doctor in order to help people live better lives. She specifically chose Naturopathic Medicine because she wanted to dig deeper and find the root cause of people’s symptoms. The most rewarding part of medicine for Dr. Jessica Turner is helping patients feel vibrant again. Nothing is better than when a patient who has been sick for many years comes into your office after treatment looking healthy and lively. One of her favorite things to hear from patients when they first walk into her office is, “I am here because I have gone everywhere else without success.” This is when naturopathic medicine shines! Preventative care is by far the most important thing for a patient’s health. Genetics are not always on our side, but by teaching a patient about lifestyle changes that they can make now to benefit their health, they can live longer, happier, healthier lives. That’s what success is for Dr. Jessica Turner, knowing that she made a difference in her patients’ lives. It is never too late (or early) to start to make a positive change in your life. Dr. Jessica Turner never judges her patient’s, and she works on creating individual treatment plans to move her patients in the right direction. Outside of the office Dr. Jessica Turner loves spending time with her family and their dogs. She enjoys hiking, dancing, and traveling with her husband. Recently, she has developed a passion for horseback riding, which she has found to be the most relaxing part of her week. There is something amazing about the connection you have with a horse when riding. It is definitely the best therapy she can ask for. Because there is already a Dr. Turner at Warner Family Practice, feel free to call her Dr. Jess.